Gain Temperature Stability: ± 25 ppm/°C Typ. 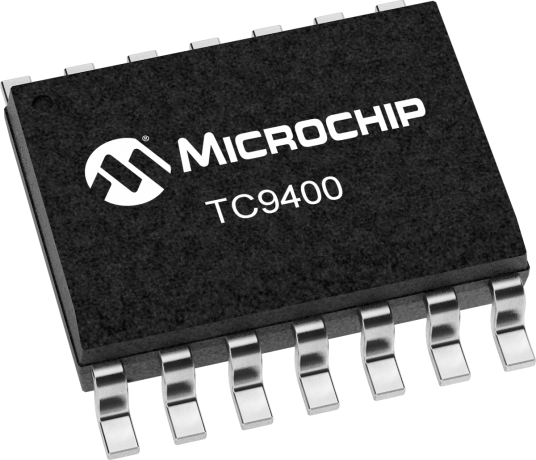 The TC9400/TC9401/TC9402 are low-cost voltage-to-frequency (V/F)converters utilizing low power CMOS technology. The converters accept a variable analog input signal and generate an output pulse train whose frequency is linearly proportional to the input voltage. The devices can also be used as highly-accurate frequency-to-voltage (F/V)converters,accepting virtually any input frequency waveform and providing a linearly-proportional voltage output. A complete V/F or F/V system only requires the addition of two capacitors,three resistors,and reference voltage.